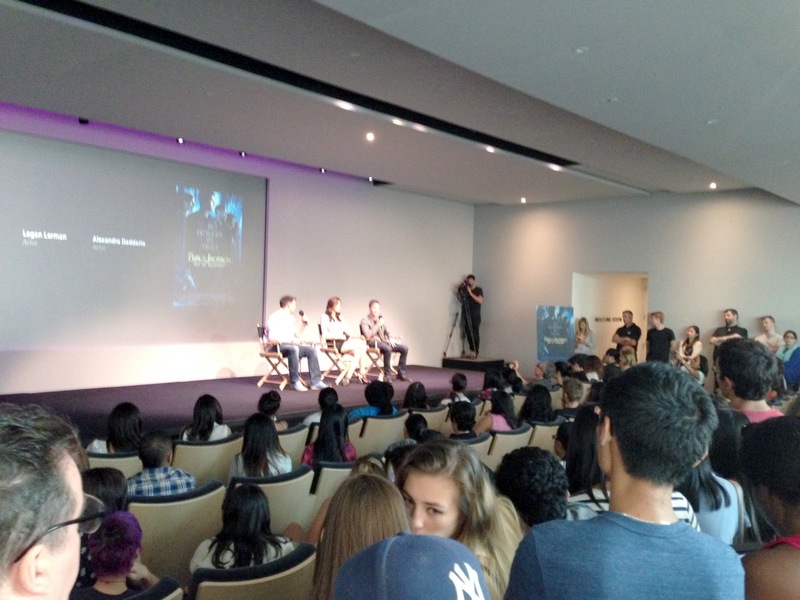 Last night I attended my first Meet the Filmmakers event at the Apple Store in Soho, New York. The event was scheduled to start at 5:30 pm and I arrived shortly after 5:00 pm. 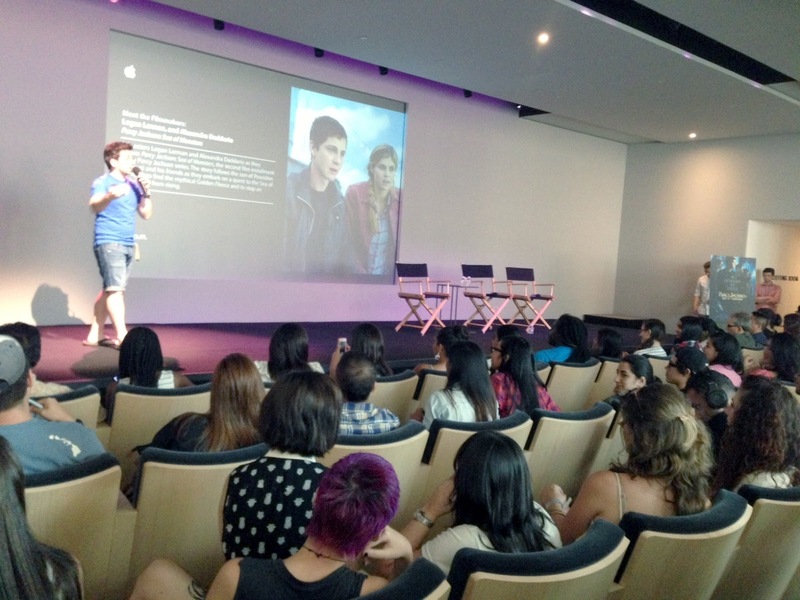 The event is held on their second level mini open auditorium where they also have Apple classes. By the time I arrived, the seats were all taken with only standing room available. 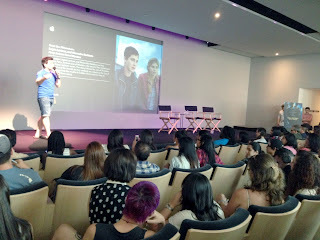 I asked an Apple employee when people started arriving, and the person said it really depends on the event as far as how early people start to arrive. Besides this event there was also a Breaking Bad meet at 7:00 pm. 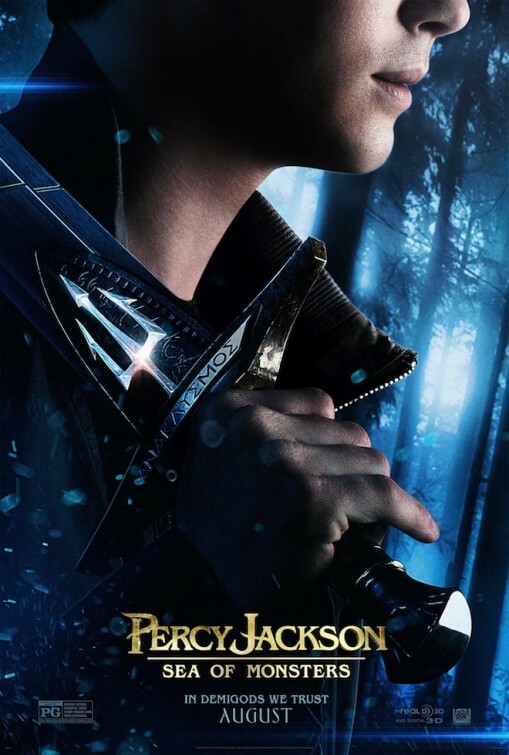 I've seen and enjoyed the first Percy Jackson movie, mainly because of my fascination with Greek mythology stories growing up. By no measure was it a masterpiece, but it was an interesting extension of the stories I've read as a child. Appearing at the meet, are two of the main leads, Logan Lerman (Percy Jackson) and Alexandra Daddario (Annabeth Chase). Alexandra is just stunning in person. She talks about how great it is that there are two strong women leads in the movie. And that she wouldn't have mind playing Leven Rambin's character Clarisse La Rue. Logan who is a little less eloquent with words talked about his acting experiences with the likes of Jim Carrey and Russell Crowe and what he learned from them on how to carry himself on the set. 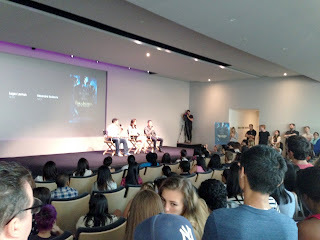 Regarding the movie, the moderator from MTV asked the duo if the author, Rick Riordan had much involvement in the movie, in which they both replied he didn't. They had only met him once during the filming of the first movie in Vancouver. A fan asked the pair what they would be doing if they had not gone into acting. Alexandra replied she didn't know as this was her love early on. Logan replied that he also loved movies early on and would probably be directing if he wasn't acting. The entire event was approximately 45 minutes. 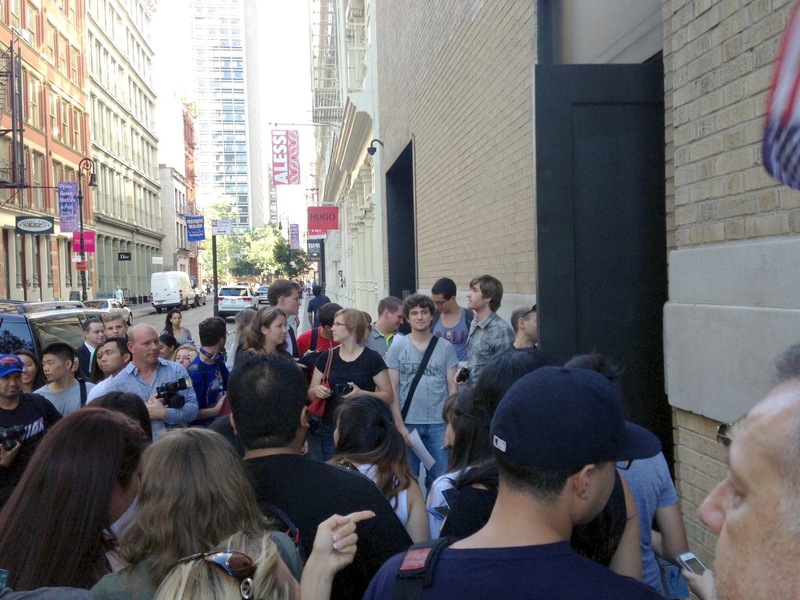 Unfortunately after the event, the stars did not stay to sign or take pictures with the fans. They quickly bolted for the exit and perhaps only did so for a small handful of fans. I'm not sure if this is the case with all of their filmmaker events, if so, it would be truly disappointing. Few tips if you plan to attend one of these. Arrive early! Especially if you want to be up close to them to take pictures or get an autograph it's important to sit in the front row, center to right hand side. The stars enter and leave towards the right hand side. If you're not able to, then right after the event, the stars exit on Greene Street to their waiting SUVs. Again, you have to be there early as usually a huge crowd forms including paparazzi. 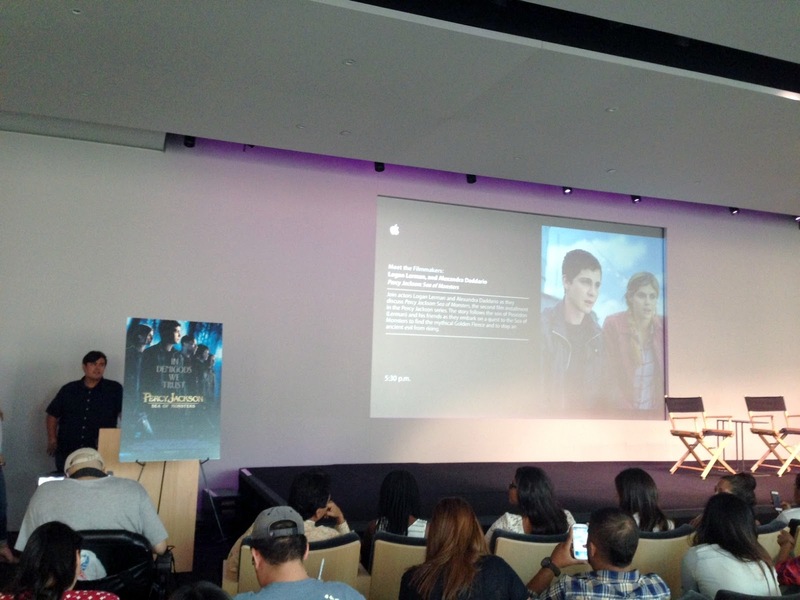 Finally, if you've missed the event, Apple makes all of these events available on their iTunes site following the event. If you wish to attend one of these events, you can check their calendar of events and register here.